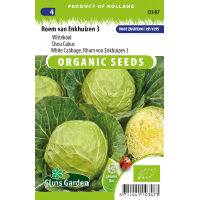 White cabbage Roem van Enkhuizen 3 is particularly suitable for the production of sauerkraut. It is a fairly quick-growing crop that forms large heavy heads. Although a little susceptible to cracking, it is full of minerals and vitamin B and C. Pre-sow in pots and then transplant to well tilled and lightly fertilised soil. 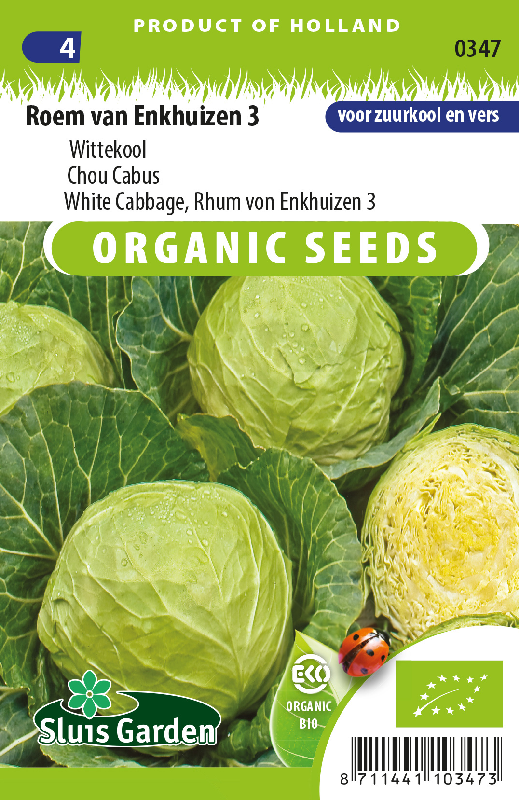 Keep well watered and protect the young plant against cabbage fly using insect netting. Grow each year in a different place.